Food & Dining Other... Monkey Tree Brewing Co.
Monkey Tree Brewing Co, where beer becomes a work of art. 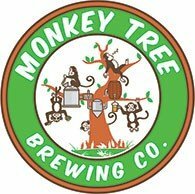 Monkey Tree specialises in handcrafted, locally brewed craft beer which is made from the freshest ingredients, using no chemicals or preservatives. The end result is a cleaner, tastier beer experience brewed on premises, which makes it as local and as fresh as you are going to get. On Friday and Saturday afternoon, our bar "The Tree" is open serving up to 10 taps of beers and ciders all brewed metres from where you sit. Our upcoming events include some of the best live music, comedy and parties you could ever be a part of.